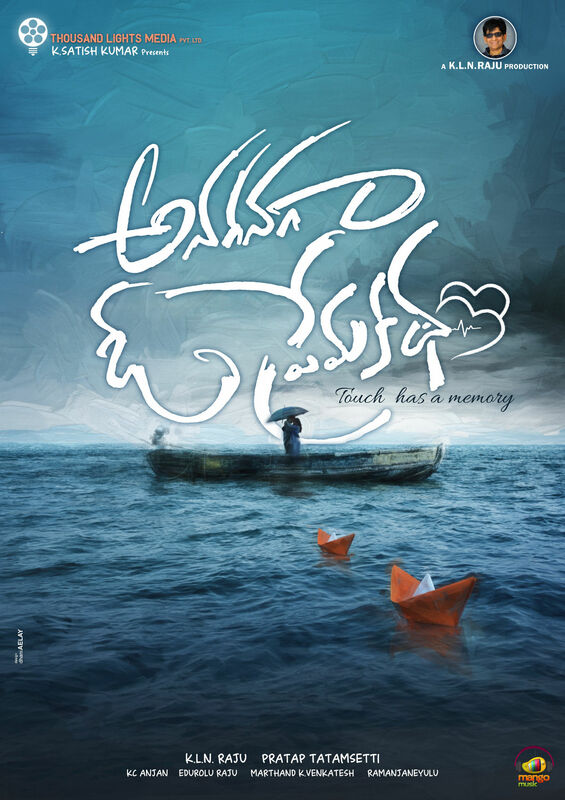 A feel good love story Movie titled Anaganaga o premakatha is produced by K . L .N . RAJU under banner THOUSAND LIGHTS MEDIA PVT LTD ,introducing marthand k venkatesh nephew viraj j ashwin as hero and riddhi kumar as heroine has finished shooting part and movie team is busy in undergoing post production works, like CGI,DI AND DTS works . First look of this movie is launched by MEGA PRINCE “VARUN TEJ “on his twitter account and wished entire team all the best . producer of the movie k l n raju expressed his happiness and thanked VARUN TEJ for lauching first look . a r Rahman associate kc anjan composed music for this film, edurolu raju wored as a cinematographer and the film is edited by marthand k venkatesh.Producer k l n raju is planning to release this movie in October 2018. Coming up next is the heroine lead which is being played by Ridhi hailing from pune has done a few commercials, she has that promising look that made her the lead in a female role.